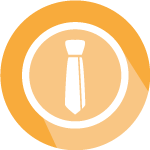 Students Shoulder-to-Shoulder is an organization of partners, all stakeholders in the mission to inspire and support generations of ethical leaders. 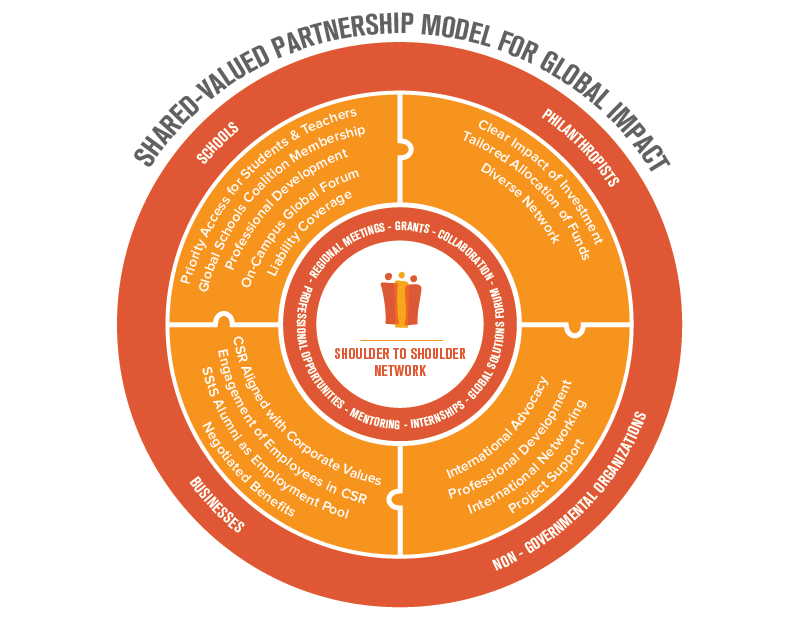 Our shared-value partnership model invites schools, businesses, NGOs, foundations, and alumni to work synergistically toward goals that are mutually beneficial. We believe that tailored engagement – that which aligns with partners’ missions – is critical in establishing long-term, meaningful relationships and, by extension, impact. Our non-governmental organization (NGO) partners are grassroots and operate independently from each other. As partners “on the ground,” these inspiring global leaders are the central force for our courses in ethical leadership. The Global Schools Coalition (GSC) is an organization of college preparatory schools from around the nation that share in the resources of Students Shoulder-to-Shoulder. United in the educational aim of ethical leadership, members collaborate in multiple physical settings and across digital platforms to create a broad range of programming for students, faculty, and school communities. We attract foundations who are seeking “big ideas” related to global change. These partners align with our belief that ethical leadership is a fundamental platform for creating the broadest and most sustainable impact on the most pressing global issues. SStS began partnering with businesses in 2016 through an inspiring win-win model. Working directly with businesses to tailor a working relationship through a yearly “benefits” agreement, together we create synergy between profit, growth, and social responsibility. We believe that a triple bottom line – profit, people, planet – is a viable business aim, one that brings greater sustainability to businesses while strengthening communities, both locally and globally. In 2015, SStS’s board of directors began what we think will be a five-year effort to convert to an entirely alumni board. Our current board of fifteen directors includes six alumni. With an advisory committee of diverse, seasoned professionals, we create a mentoring program for our executive board, role modeling the very structure we believe critical for supporting generations of ethical leaders. Started in 2014, the alumni association was created by past students eager to “stay involved.” Their curiosity and eagerness were the impetus for the evolution of our mission to include “supporting” ethical leadership within our alumni.